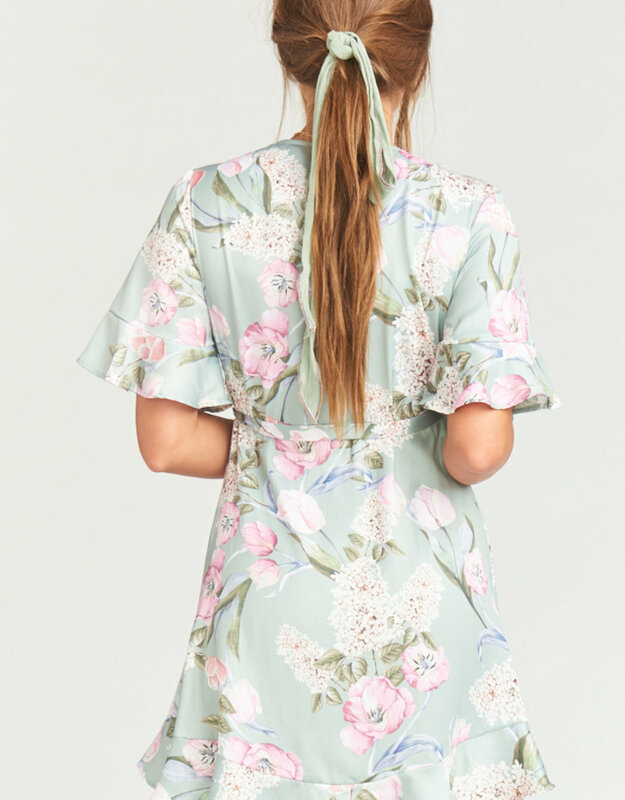 The perfect floral wrap dress! This wrap dress features a v-cut neckline, a button and tie closure and ruffle detailing on the sleeves. 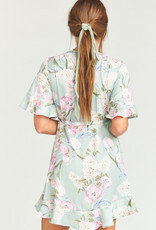 Pair this dress with your fave heels or wedges and you'll be looking like a floral goddess! Unlined. Opaque material. Button and tie closure. V-cut neckline. Ruffle sleeves. Model is 5'9 and she is wearing a size small. Dress fits true to size.